I have used Samsung phones since 2001 and have for the first time to another brand! They [Samsung] phones are good, but they have to be more innovative!!! Phones like the Samsung Omnia are the phones that they need to keep producing!!! Anyway, I have now changed to BlackBerry Bold and loving all of it!!!!! This phone is not for US right? 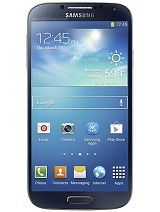 Samsung Pixon great phone. But missing the Wi-Fi. Why Samsung make a great phone like this but missing such small but important feature? Omnia great phone with no missing picture but Pixon with great Camera and missing Wi-Fi. I was wating 8 MPXL.so it is so happy to see this.is this has a xenon flasher as like nokia?and what is the price? samsung y can't you see that some simple feature like the ability to zoom downloaded pictures and set it has wallpaper makes a phone kool,you guy's had this feature even over nokia but u don't put it in all your phones and voice command should be standard. How in the world is 5.1 channel sound coming out from this set? i like it . i will get soon it parchas it. Such good specifications and they didn't add Wi-Fi ? What was Samsung thinking?? No wlan its nothing than a chinese toy. All features are gimmicks except new way to attract new customers,after omnnia and innov8 WM 6.1 firmware is same as jam 5 years back. iphone sufices to others needs. it looks like a nokia to me! come on samusung you can do better than that!